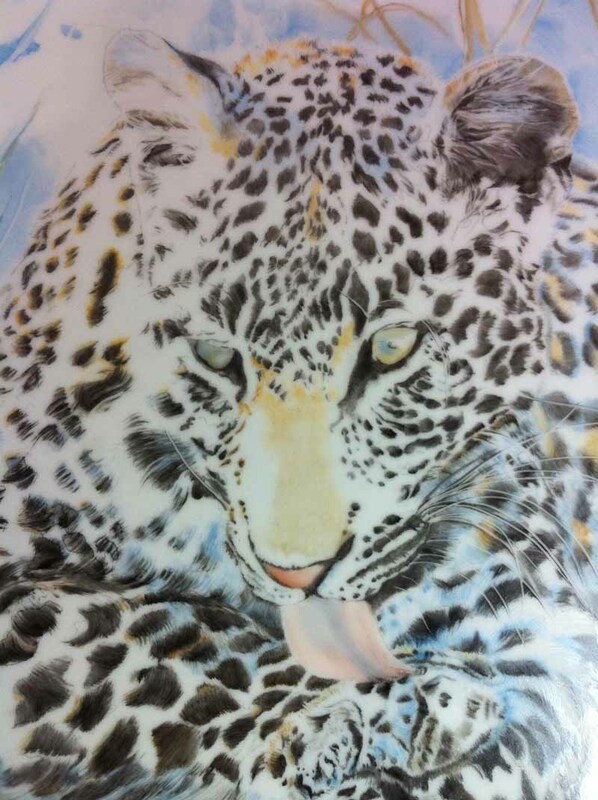 The porcelain painting process involves specialised colours, these are made from precious metals and mineral oxides which are made available as a finely ground powder. The powder is then generally mixed with oil although water based mediums are available also. The oils vary greatly and their usage is generally dependent on how thickly the paint is going to be applied as some are more forgiving than others, whether the artist is wanting their work to dry immediately or to stay open for a time to allow for adjustments to be made and whether it is single stroke styled work or whether blending will be involved. Applying as much detail as possible and making sure to leave white areas uncovered as well as applying paint lightly to avoid ’spitting off’ of colour during firing. . Certain colours are left for later firings where the temperature will be lower so that they do not disappear due to the firing process. Once the piece has been completed to a satisfactory level it is placed in a kiln and fired to a temperature of around 800 degrees centigrade. It is then left in the kiln to cool, which generally takes a few hours and is dependent of how full the kiln is with pieces and the type of kiln itself. The concept behind the firing process is that the glaze on the surface of the porcelain melts, thus allowing the colour to fuse to it and become permanent. Adding colours and darkening to create depth where appropriate. Cooler firing temperatures than the first fire. Generally this process is repeated several times for each piece, which enables the colour to be built up slowly so that ‘spitting’ in the kiln does not occur which will ruin the piece. 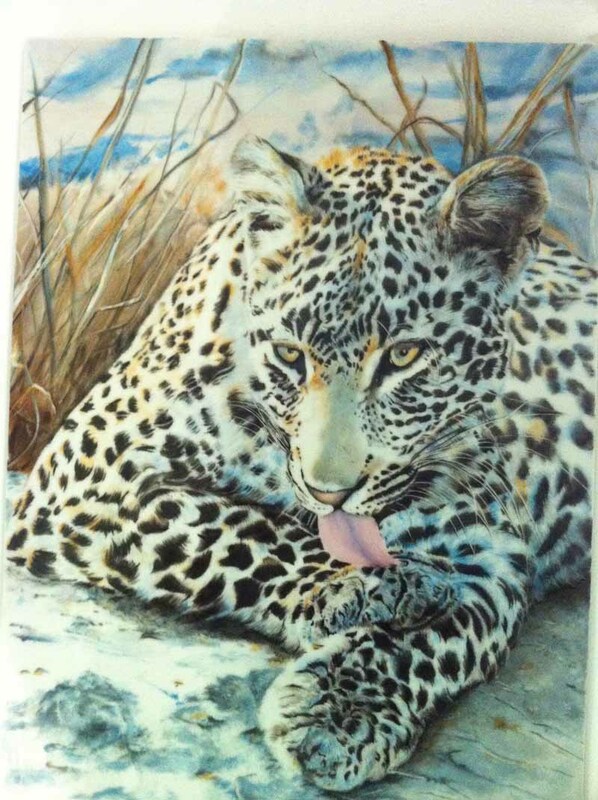 Some artists, depending on their style, do use screen printing oils which have a stronger colour loading so that the piece can easily be achieved in two firings. Water based medium works in much the same way, but they are not for everyone and it is generally practice and experimentation that eventually governs personal choice at the end of the day. A completed piece can take anywhere from a couple of hours spread over a couple of days to a week – this is all depending on detail, style, products etc. 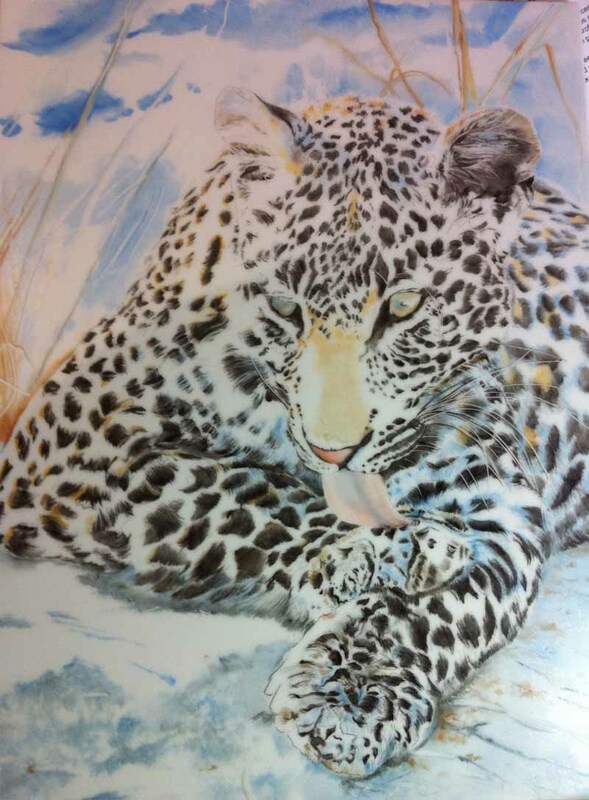 Here is the final image of the Leopard, through the four layers of paint and the firings. Painting Porcelain has a history going back over several thousands of years to China, where a strong, thin and translucent porcelain body was originally created. It took another millenium for them to develop the use of cobalt under the glaze to give the beautiful rich blue that is recognised even now as being synonymous with the Chinese dynastic styles. It was the middle of the eighteenth century that the Europeans managed to recreate their own porcelain, and with the trial and error that necessarily ensued, so too did the individual factory styles, created by the many wonderful artists that were employed by them at that time. Sadly over time, true, hand painted porcelain has declined. The needs of a larger and growing population requiring a cheaper and more readily available alternative has led to the invention of the decal. A screen printed design that is water floated and applied as it dries to the surface of the piece to be then fired only once, thus producing and replicating the same image hundreds or even thousands of times, each piece identical to the next. This process has been developed to the degree that canvas artists can have their work photographed and converted to decal form before being applied to plates giving the appearance of a hand painted piece when in actual fact they are not. Taking this one step further – the trend in recent years for decorated porcelain of any kind has declined steeply in favour of white or minimal colour so that in various factories, the decoration departments have become obsolete. Some of the most prestigious factories in the UK have been closed because they are no longer viable. In my mind – porcelain painting is an alternative method of expressing art, although it is the perfect medium (as history has shown) to paint beautiful flowers, scenes etc as well. I feel it can also be used to convey a message, a concern ,or an idea in exactly the same way as canvas can. If porcelain painting can move forward beyond the factories that no longer support it, then we have a blank canvas and an opportunity to paint whatever we choose, no longer bound by the traditional subjects of the 1800’s. Society has moved past that and to survive I think porcelain painting has to evolve with it. A small group of artists outside of the factory ‘umbrella’ are trying to take porcelain art into the next chapter and I wait to see if we succeed. 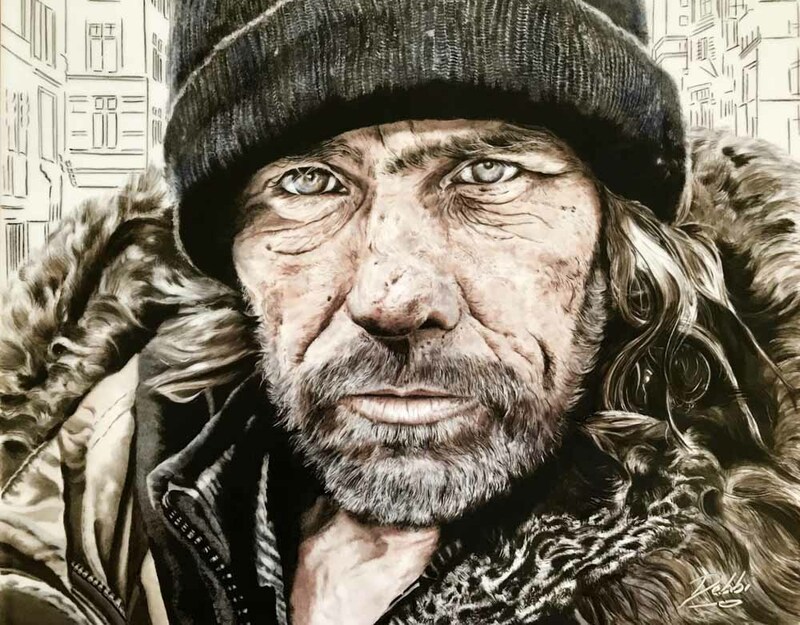 With the human portrait that I recently painted for “Salon de Lyon 2018”, I have again tried to show through art “Homelessness”. For some people it may be a choice, for others probably not. I feel again that maybe if we all took the time to look into the eyes of someone who has lost everything in the material sense of the word as well as possibly, in their personal life, whether it has been brought about by choice or fate – that we will see a story there, and possibly a very painful one, which deserves our compassion even if it is not sought. 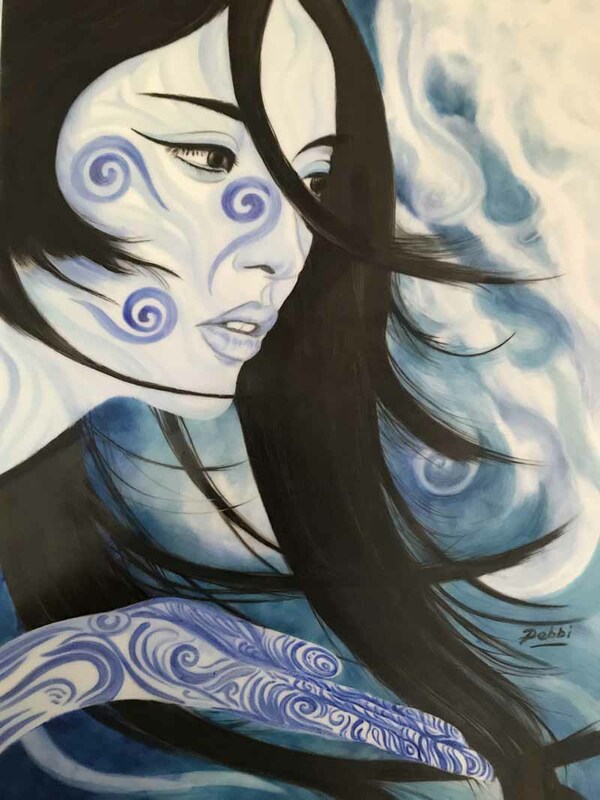 Despite the gloomy outlook for porcelain painting as we prepare to enter the 2020’s , I believe that porcelain painting still can have a place in the world. It is an art form that always has something new to offer, products can be re-invented and used in different ways and this means that the boundaries can always be pushed in a different direction. There is always a technique to perfect, whether is is to replicate the idea of an animals fur, or the lucidity of a human eye, or an effect to try and master with a lustre or paste, it never ends and there is a continual learning curve, there is no reason to become complacent, stale or bored !! 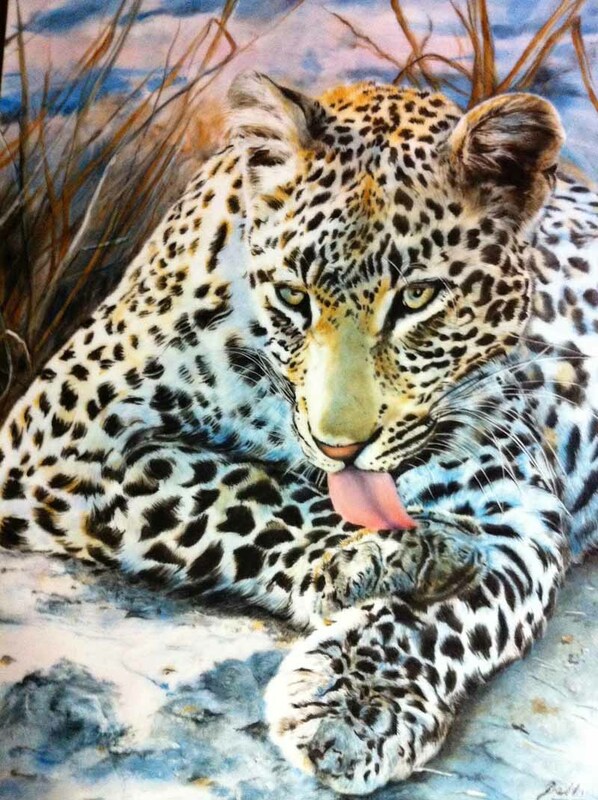 I love painting animals, to me each one has its own personality, or something to say and I try to capture that in my work. Tigers, Leopards, Lions, Elephants, The Rhino, have amongst many other species born the worst of human behaviour in our desire to not only take away their land, but also to wear their fur, exhibit their tusks as a ‘trophy’ or mount their heads on the wall as a status symbol. 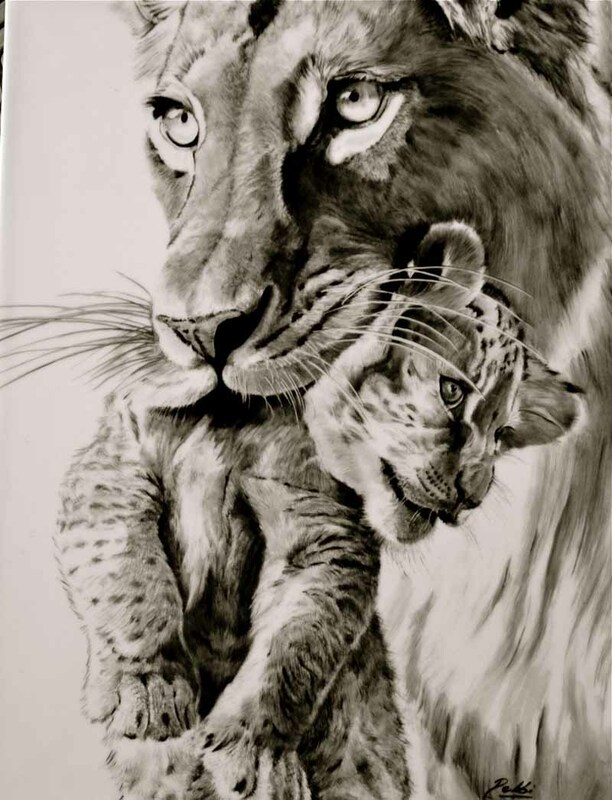 I am trying, through my work to show that we can admire their beauty, strength, grace, by appreciating them as artwork and maybe seeing something beyond the obvious to something deserving of our respect and protection. Other subjects I love to play with and which stretch the boundaries of porcelain products are representational – earth, water, air, fire, angels … the latest piece being an Archangel responsible for our planet and his contemplation… I’ll leave that one for you to look and draw your own conclusions. 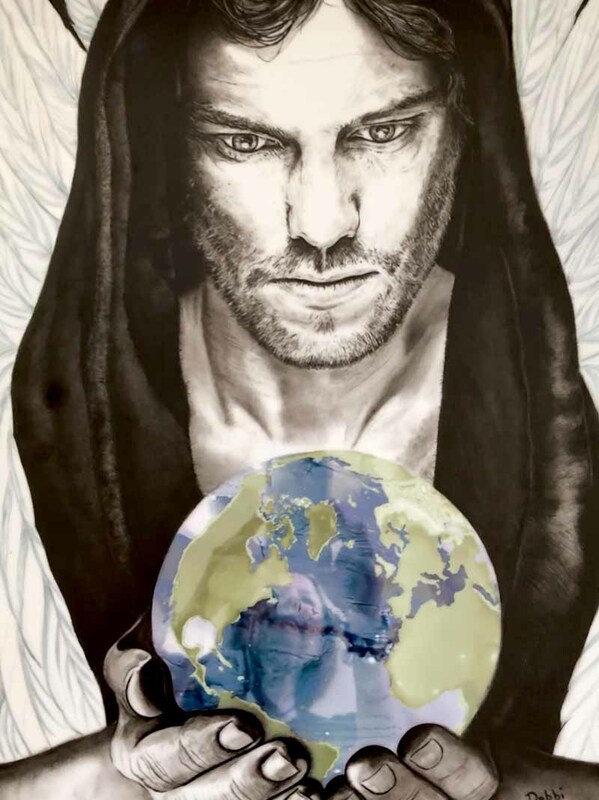 Other subjects I love to play with and which stretch the boundaries of porcelain products are representational – earth, water, air, fire, angels … the latest piece titled ‘Guardian of Earth’ (above) being an Archangel responsible for our planet and his contemplation… I’ll leave that one for you to look on and draw your own conclusions.